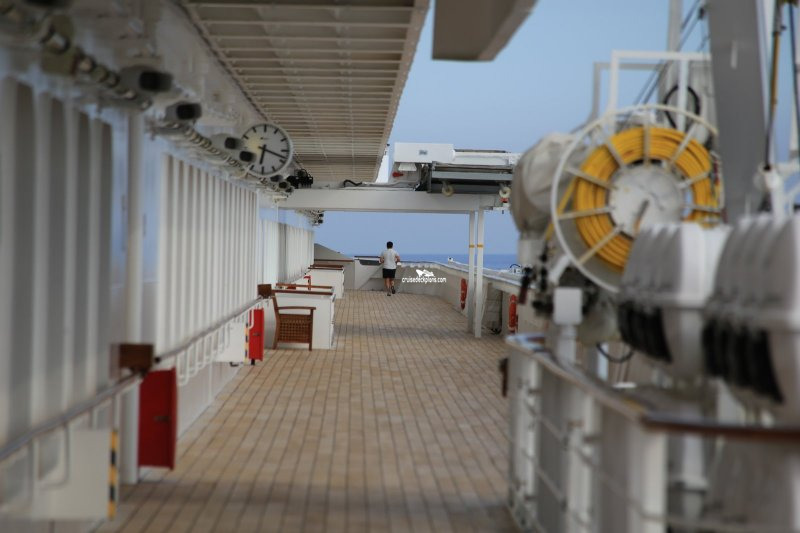 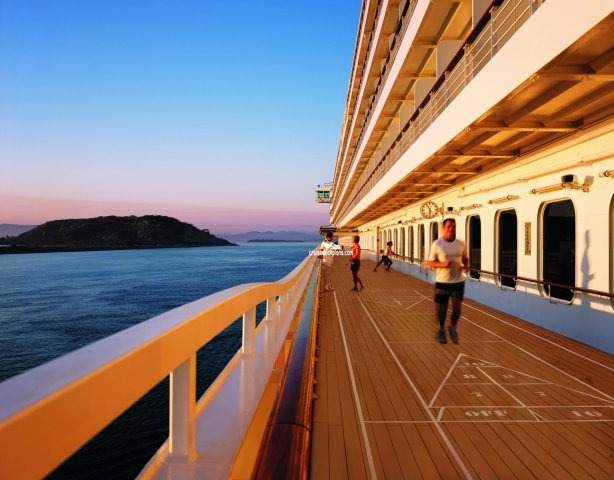 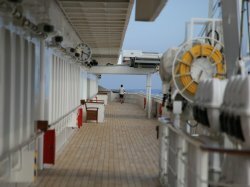 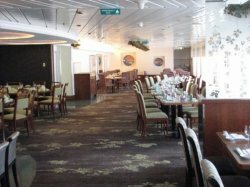 Teak-floored open deck for power walking or jogging. 3.7 laps is equal to 1 mile. 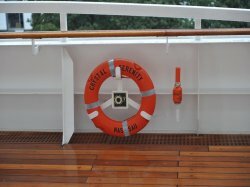 Cirlces around the ship. 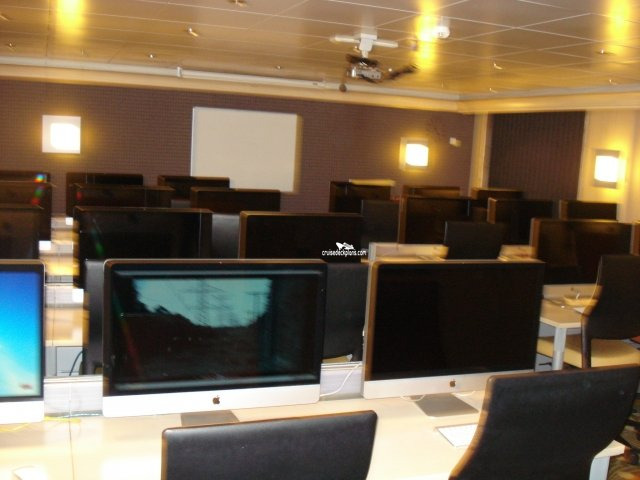 Class room for creative learning classes. 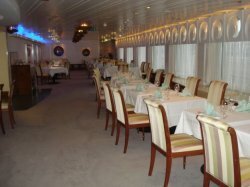 Can seat up to 15 people. 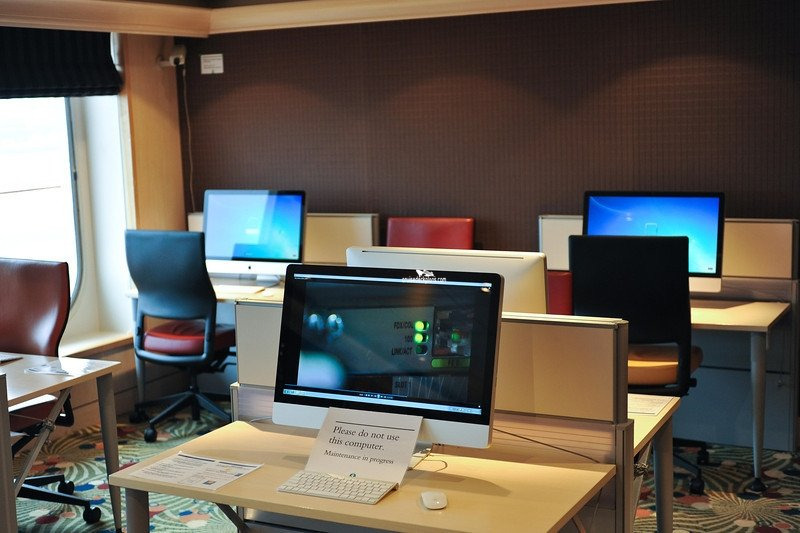 Internet work stations open 24 hours. 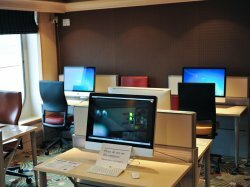 Computers available for rent. 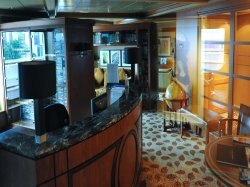 Library with over 3,000 boooks in several lanquages. 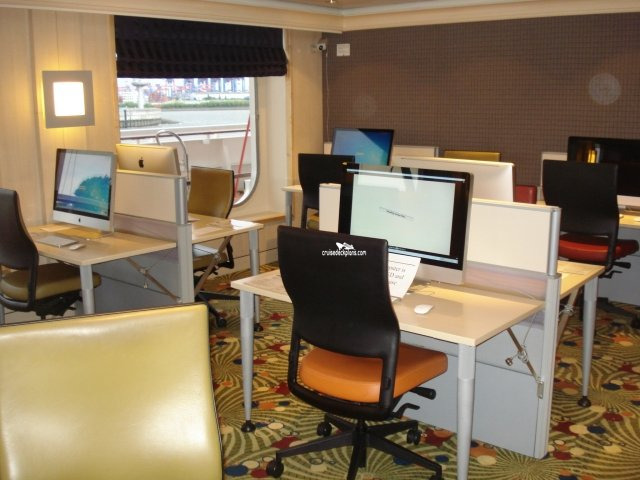 Also has videos, audio books, board games for borrowing. 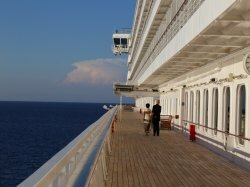 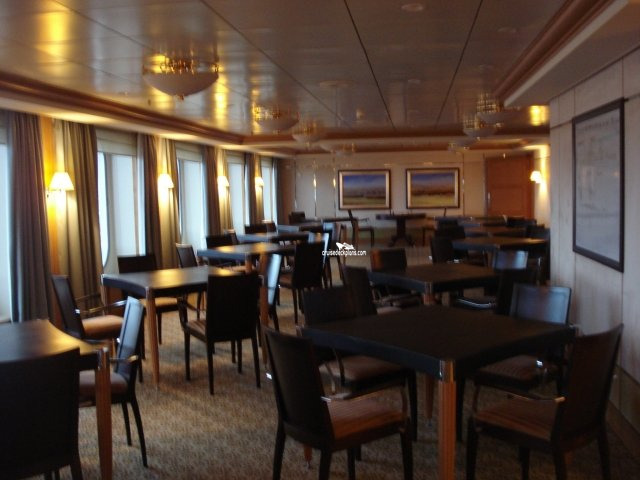 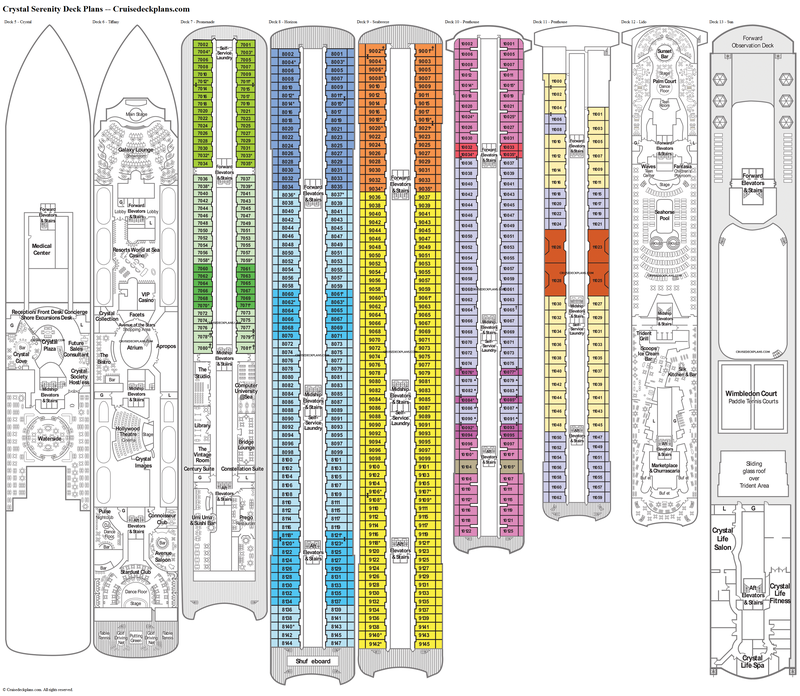 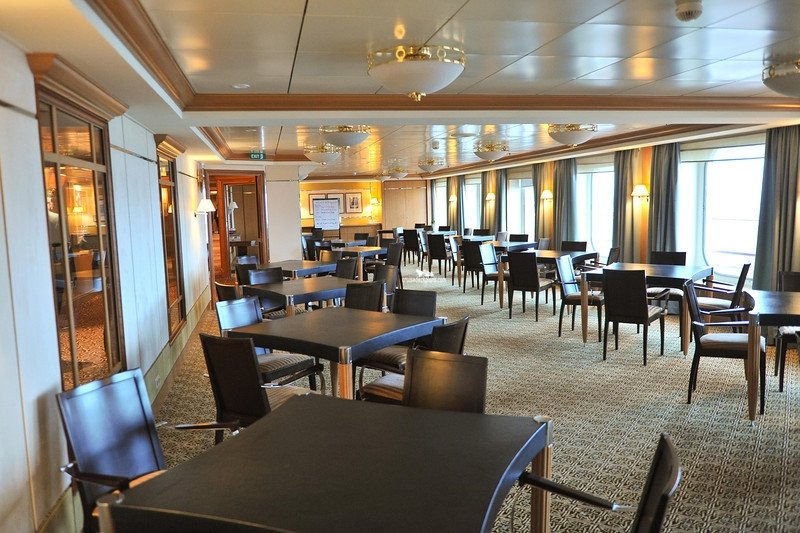 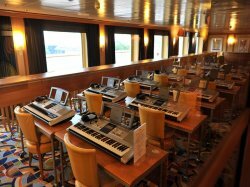 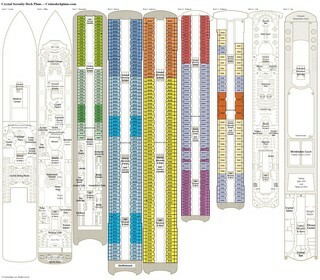 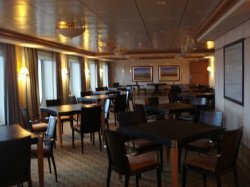 Card playing room located on starboard side of ship. 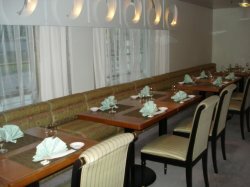 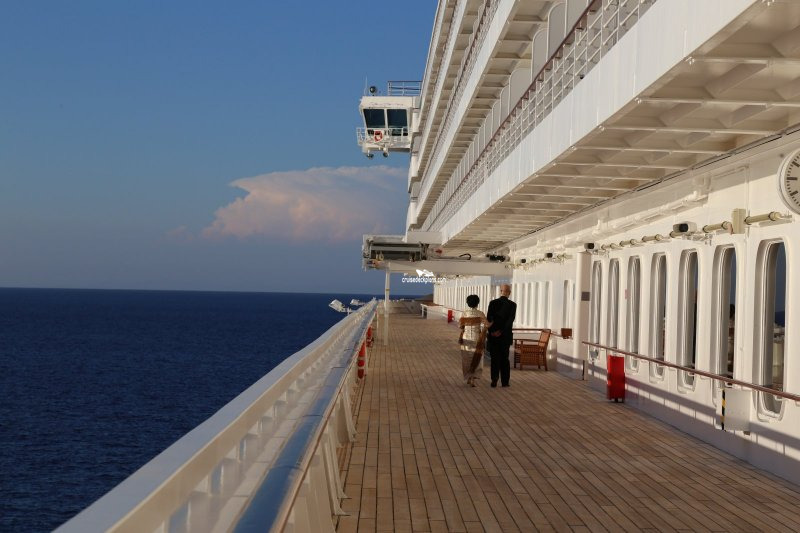 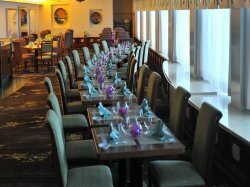 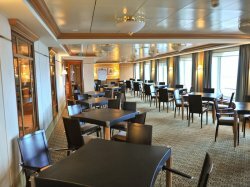 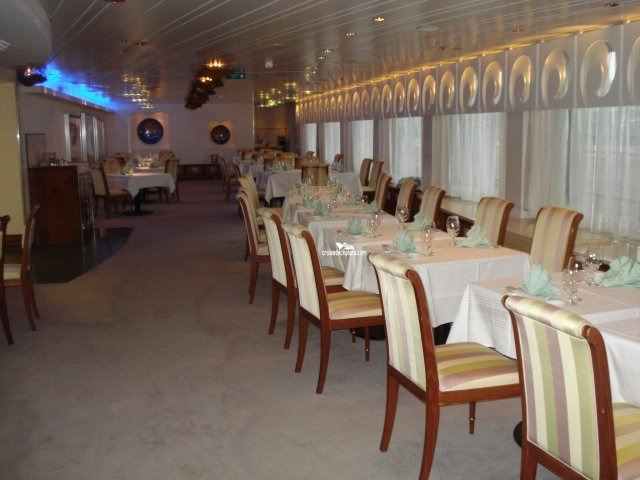 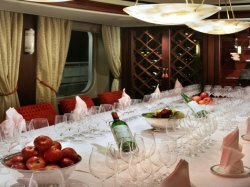 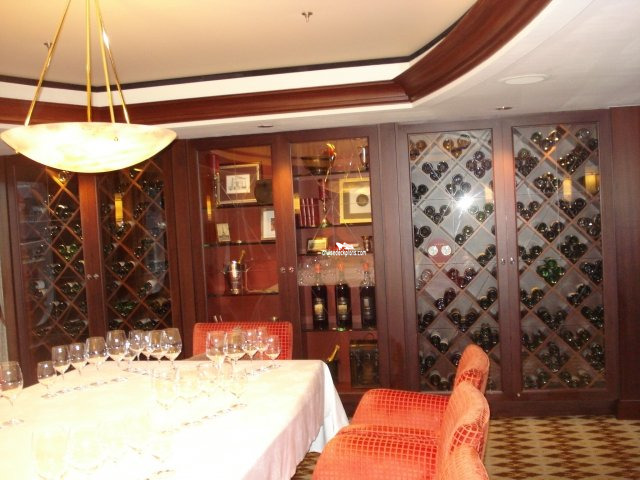 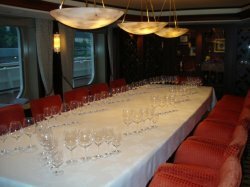 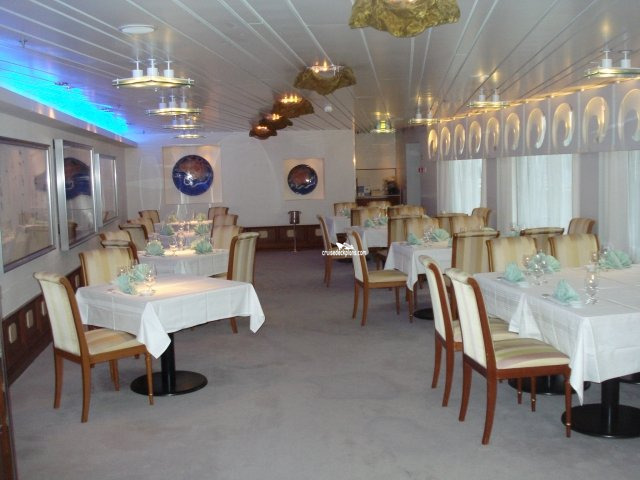 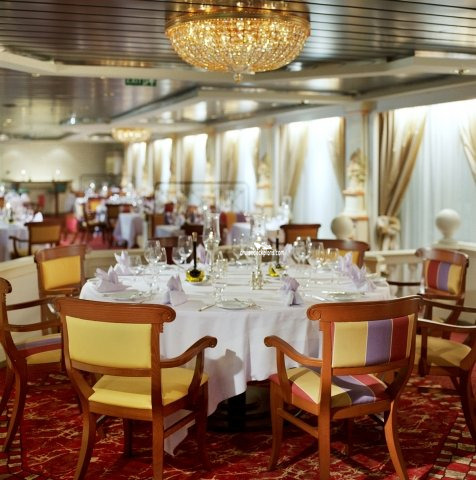 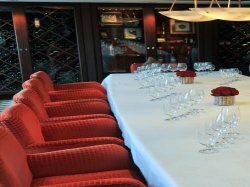 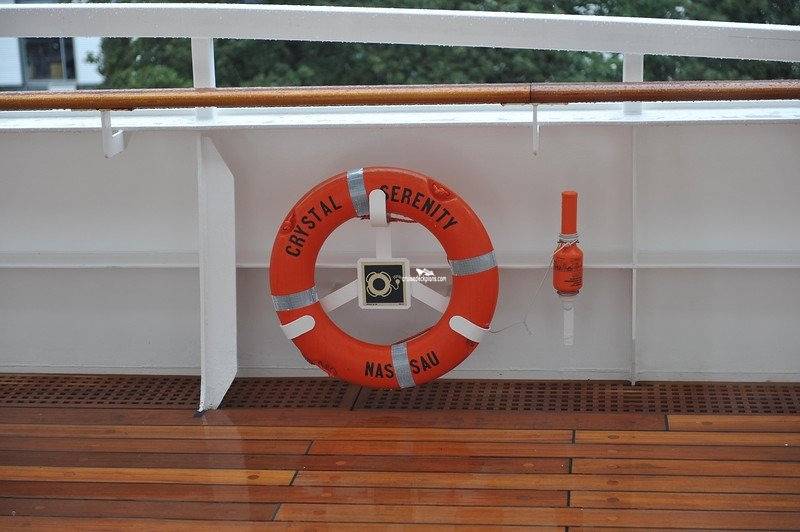 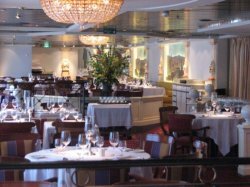 Fine dining room for up to 10 people located on portside of ship. 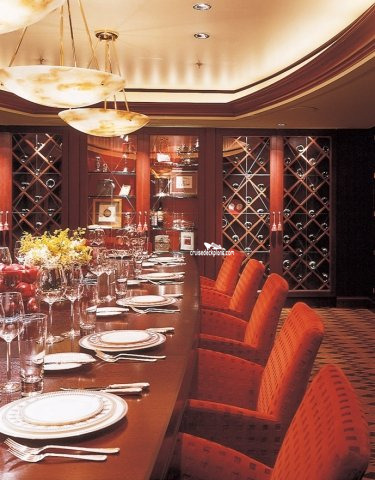 The room also hosts premium wine tastings. 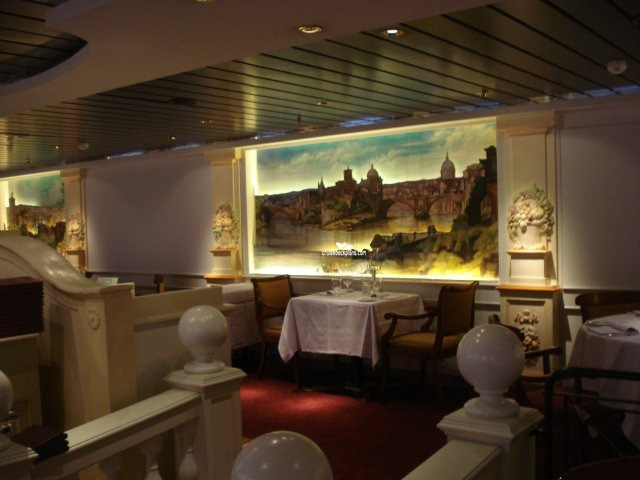 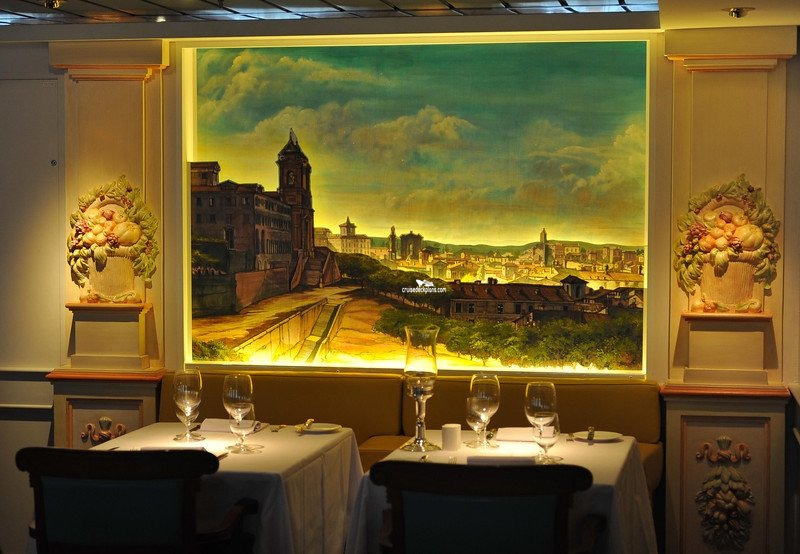 Italian dining room (requires reservations) featuring signature dishes and fine wine selections. 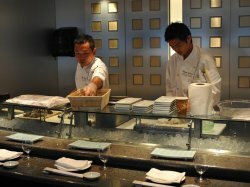 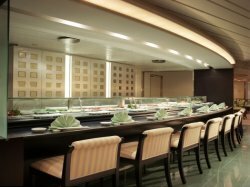 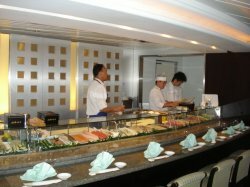 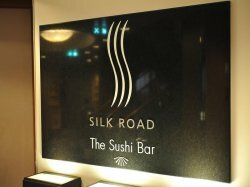 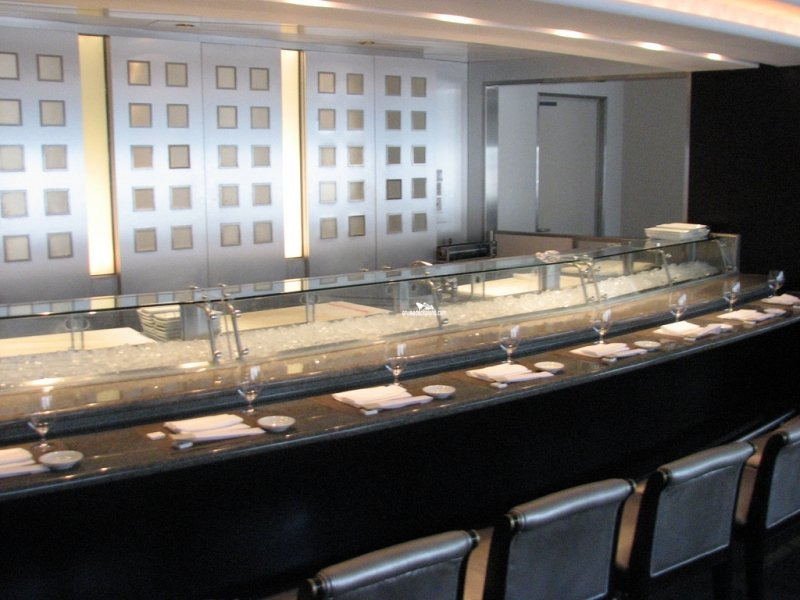 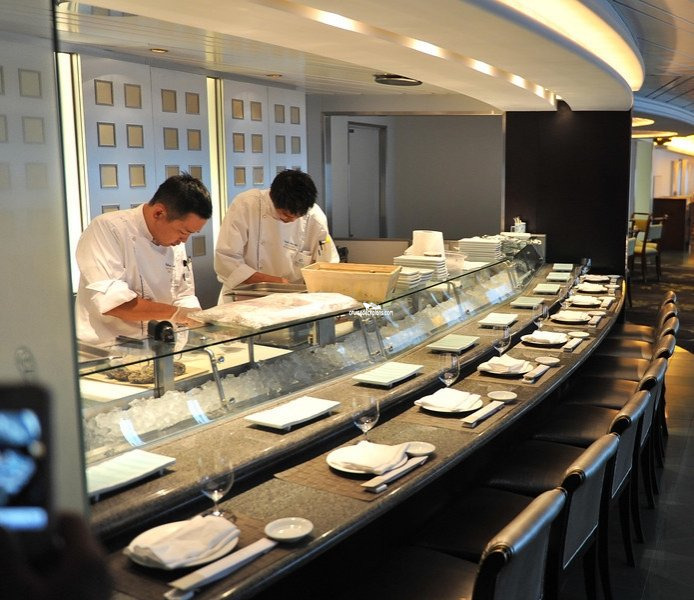 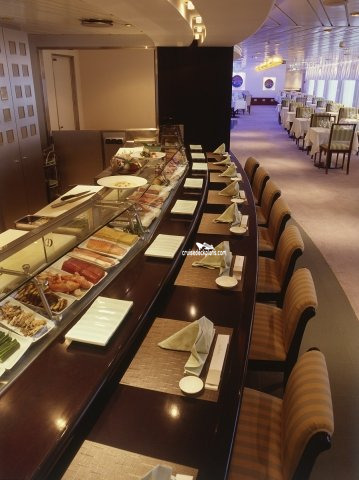 Japanese dinner only (reservations required) specialty seafood restaurant located on the port side of ship. 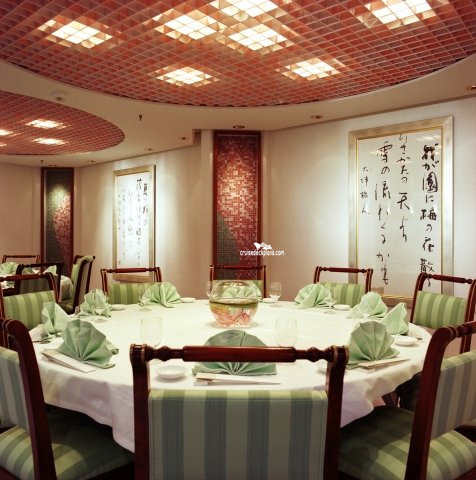 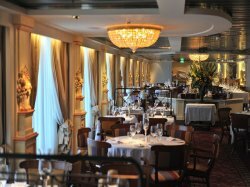 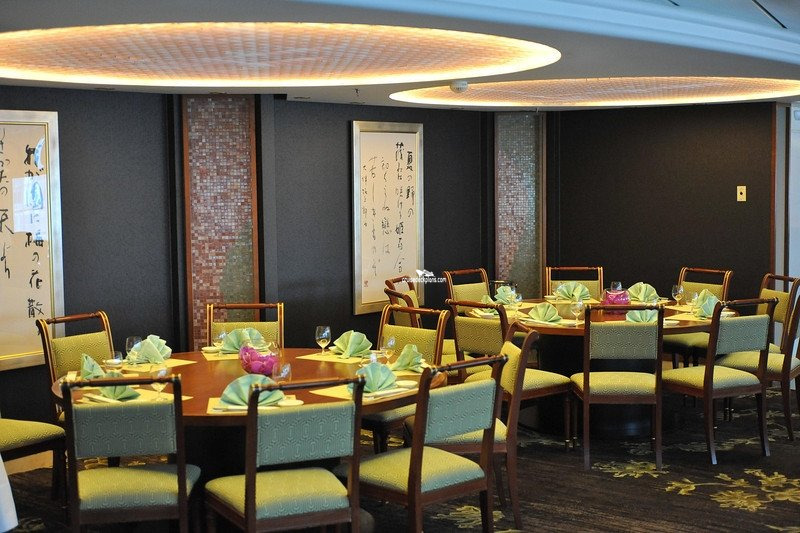 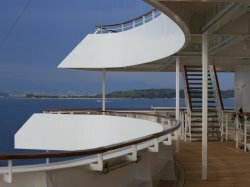 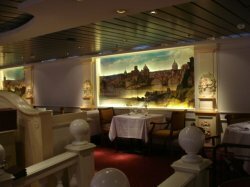 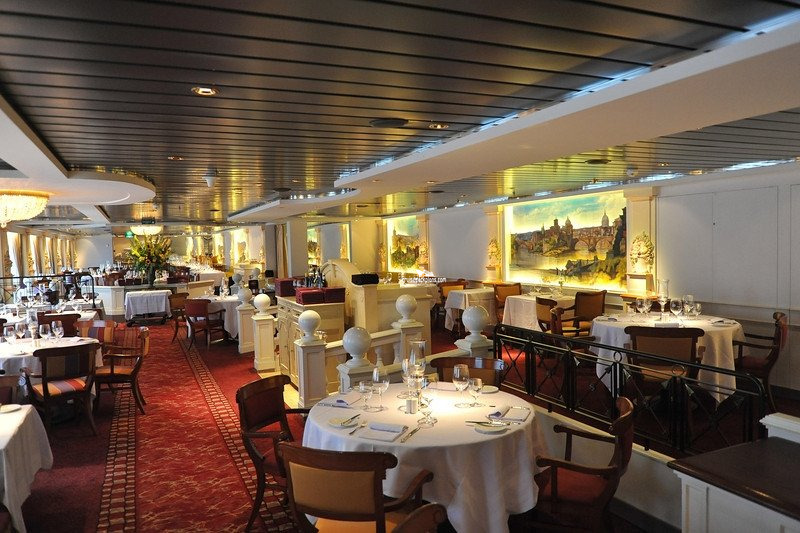 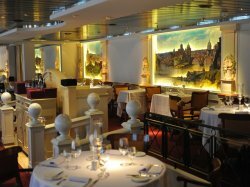 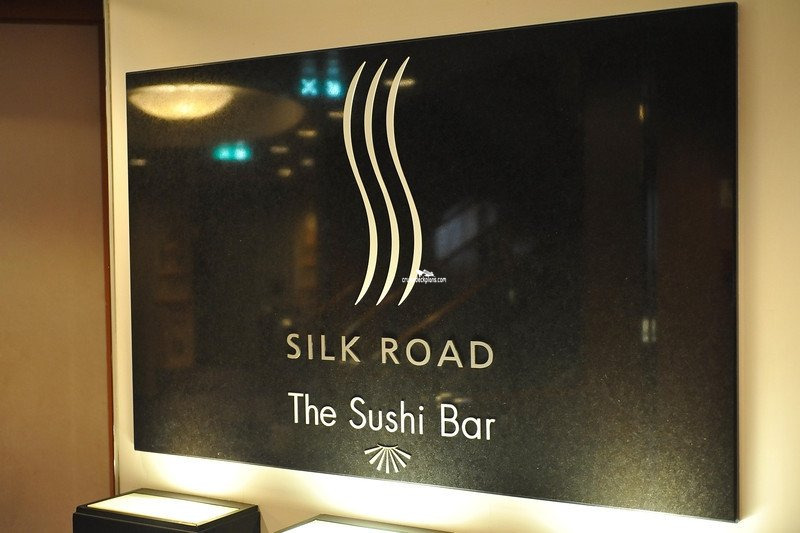 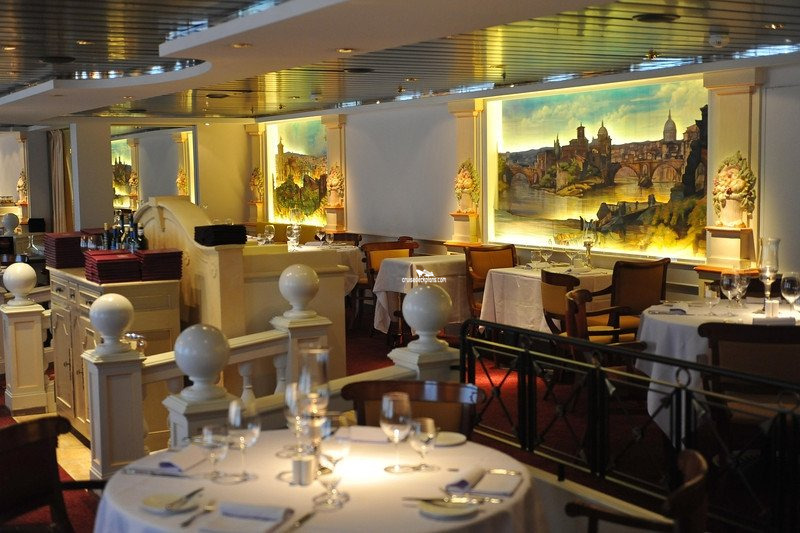 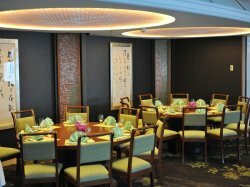 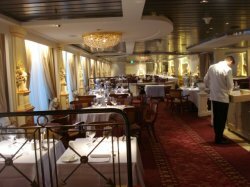 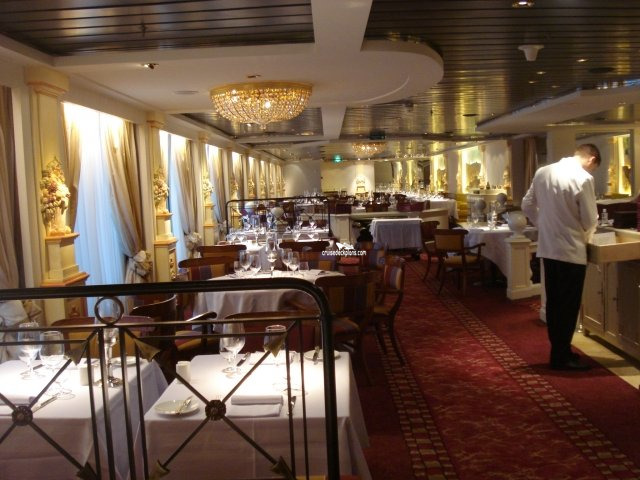 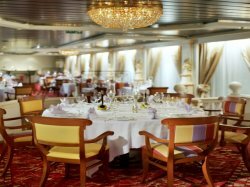 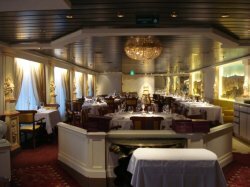 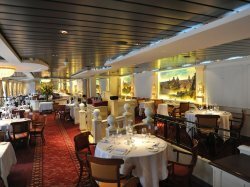 Asian fine dining restaurant (reservations recommended) located on port side of ship.